Come to our studio, put yourselves in our Professional hands, have professional makeup to enhance your features, your hair styled and then let our camera capture your natural beauty, photos taken by an award winning Female Photographer. Make-Over Portraits, Make-Over Parties for all ages, Bridal Make-Up and Wedding Photography and more. A Make-Over Experience, not just a photo shoot. 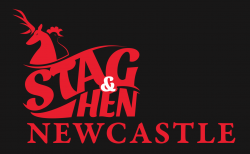 Newcastle Stag & Hen Weekends are a locally based company that specialise in Accommodation Only & Package Weekends for Stag & Hen parties & Group Bookings! For decades, we have been providing unbeatable Hen Do Newcastle and Stag Do Newcastle with exceptional quality of service to ensure that their special weekend is just that. Welcome to Gay Nights UK! We are the brand new party events company which has exploded onto the gay scene for the first time! Unique and exclusive for gay guys, girls & their mates our company specialises in organising that special weekend away. Whether you are celebrating a pre civil partnership party, a birthday, anniversary or corporate event, you have come to the right place to create that special occasion never to be forgotten! Our concept is simple! Create an exciting, memorable and fantastic weekend which is specifically for you and your group of party goers. We have hand picked some of the best locations and activities that this country has to offer. We take pride in offering excellent service and great value for money no matter what your budget or group size. All of our packages include a stay in gay friendly accommodation plus VIP entrance into the biggest and best gay night clubs in the UK. Our cities include Brighton, London, Cardiff, Manchester, Blackpool and Newcastle So� What are you waiting for? Book your party night with the most talked about events company on the gay scene but not seen anywhere else! Are you planning a Hen, Stag or Family break?? Call Plan-It Blackpool and we will make you fun simple!!! We will book your accomodation and using your criteria plan your itinery, alternatively you can create your own package or use on of our many packages. We have only the best Hotels and Guest Houses working with us and we will make sure to provide you with plenty of money saving offers. Specialists for in-house adventure, pampering or activity breaks and weekends in Cornwall including sphereing, surfing, clay pigeon shooting, firefighter experiences and golf. The Hen Project is a business specialising in organising bespoke hen weekends for hens who want more than just L-plates. We can arrange hen weekend accommodation, hen party butlers or just an activity for your hen party. Hen Partyz has been created as a 1 stop shop for all things hen related. From accessories to costumes and an online hen directory to plan than perfect hen party! DesignaVenture are professional stag do organisers, creating bullet proof hen and stag weekends throughout the UK and Europe. On the DesignaVenture website you will find bucket loads of ideas from your stag do in Bristol to your hen party in London with lots of destinations and cities in between. With too many popular stag destinations to list, it's best you come and see for your yourself the immense amount of hen party and stag do ideas on offer. DesignaVenture backs up their amazing packages and activities with unparalleled customer service. No matter what your group size, age or location, we can definitely cater for you. Throughout this site you will find lots of fun and exciting hen night ideas for you and your hens to take part in but if you don''t see what you like, simply get in touch and we''d be happy to arrange it for you.